A great place to start AAC! GoTalk 4+ is lightweight and rugged, like all GoTalks and has 22 messages and 5 recording levels. It's large message keys make it easy to access. PLUS, there are two core vocabulary messages that remain constant when you change levels, great for essentials, like Hello or All done. 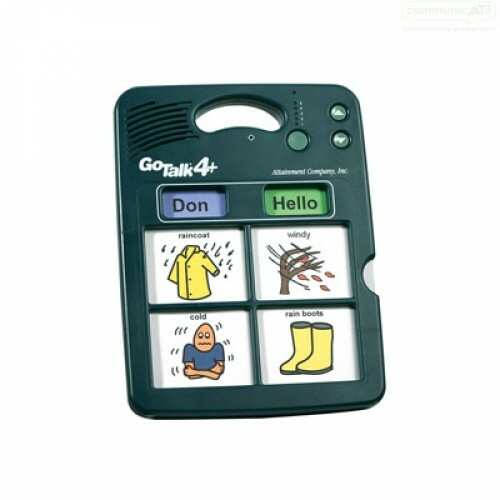 GoTalks provide fantastic sound with volume control, easy sequential recording, fast record and erase, a unique function to quickly erase a level, built-in overlay storage, record lock. 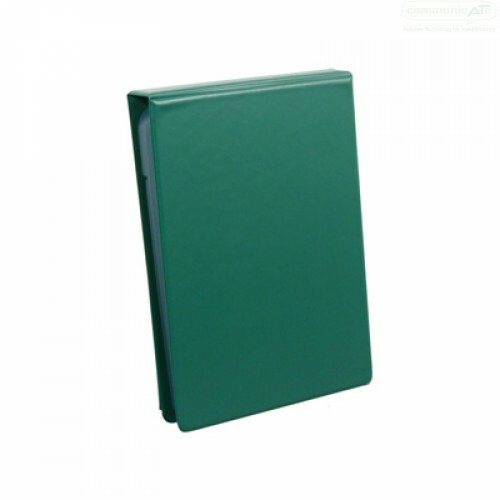 Operating instructions are conveniently printed on the back and a User's Guide booklet is included. 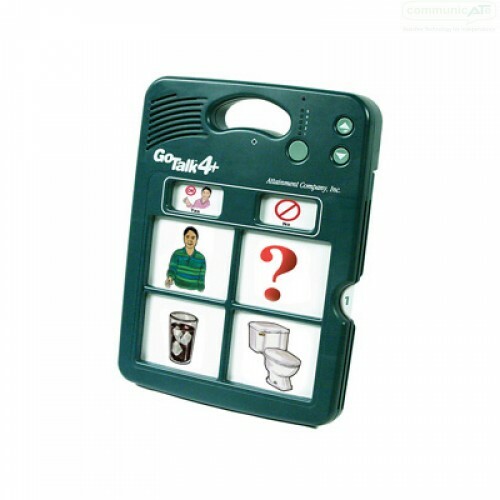 The GoTalk 4+ large message keys are 3 x 3 inch squares. Total recording time is 4.25 minutes. Size: 9 x 12 x 1⅛ inches. Weight: 23 oz. 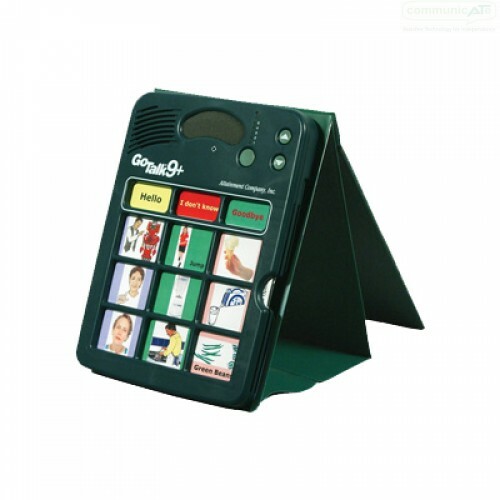 Includes Two AA batteries, printed User's Guide and a 2-year warranty.